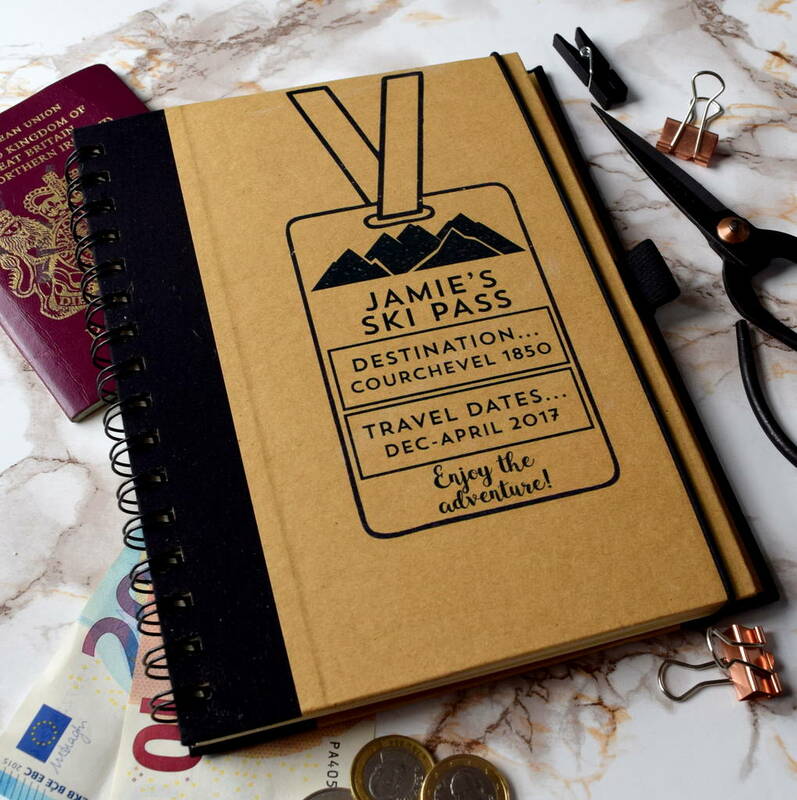 This personalised travel journal is the perfect place to store your skiing memories. This travel journal is the perfect place to write down all your skiing adventures so you can remember them forever. It is also the perfect honeymoon gift or wedding gift, for newlyweds to write down their skiing honeymoon memories. 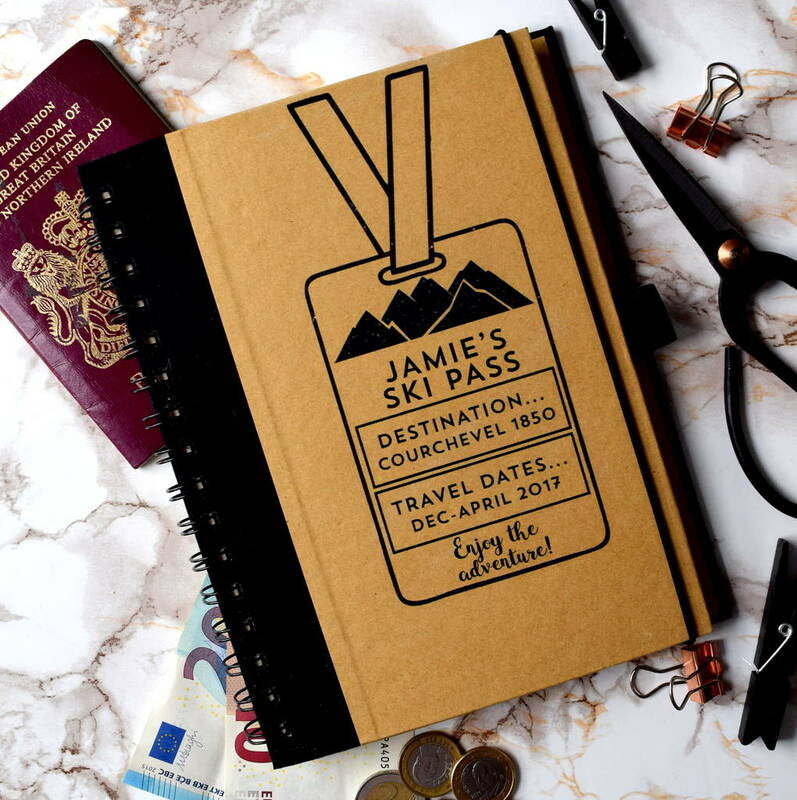 The notebook is personalised with their name, destination country and travel dates laid out in a ski pass style. This notebook makes a great stocking filler for Christmas too! The notebook can be personlaised with the name of the traveller, the skiing destination and the dates of the trip. Hard Backed Spiral Bound kraft notebook with white lined pages.